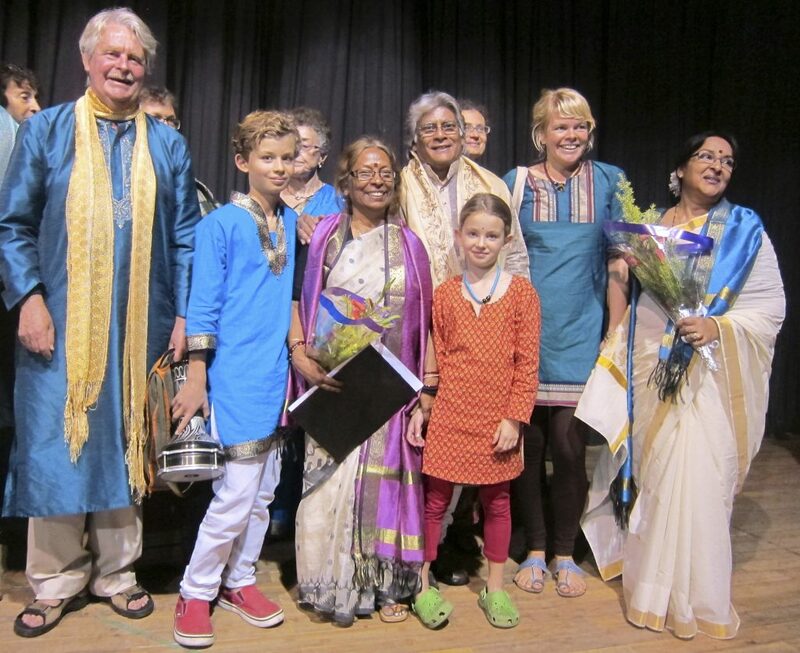 The International Tagore Choir, specialized in singing the songs by Indian/Bengali Nobel Laureate poet and composer Rabindranath Tagore (1861-1941) has completed a successful tour to Kolkata, Shantiniketan, Balasore, Baripada and Kharagpur during the period 23 October to 9 November 2013, in order to commemorate the 100th jubilee year of Rabindranath Tagore’s Nobel Prize in 1913. The main concert was held at classical Star Theatre in north Kolkata on Saturday 26th October, in a programme together with world famous Mamata Shankar Ballett Troupe. 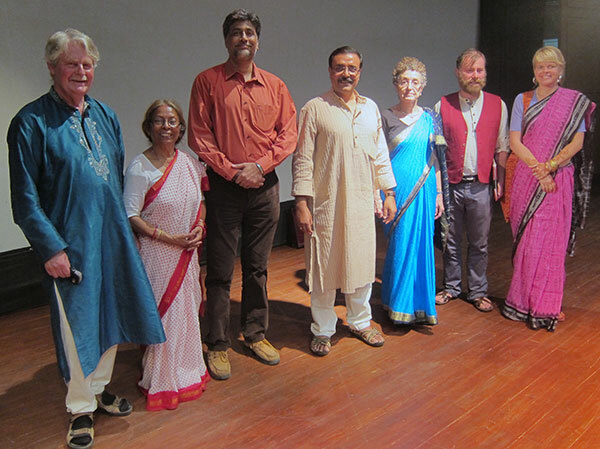 The group also had an amazing concert for students and professors at Sangheet Bhawan, the Music Department at Viswa Bharati University in Santiniketan, Tagore’s own university (photo to the right). 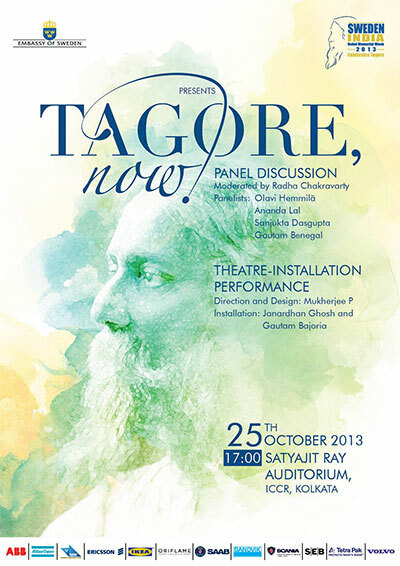 First part of the programme coincided with the official Swedish Embassy Tagore commemoration programmes held in Kolkata on 25–26 October (more information), but was by some strange reason not officially part of it. 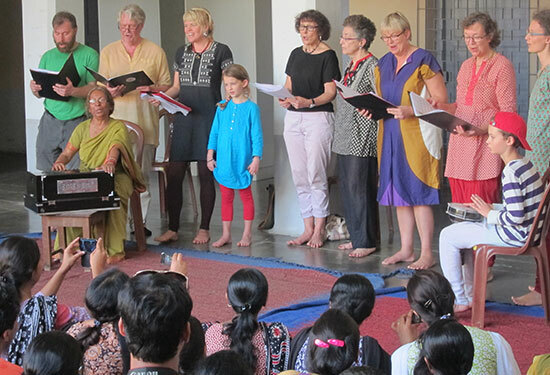 The International Tagore Choir, led by Bubu Munshi Eklund, has also performed at the inauguration of a new Swedish-funded Shakuntala Rheumatology Hospital and Research Institute in Balasore, Odisha State. 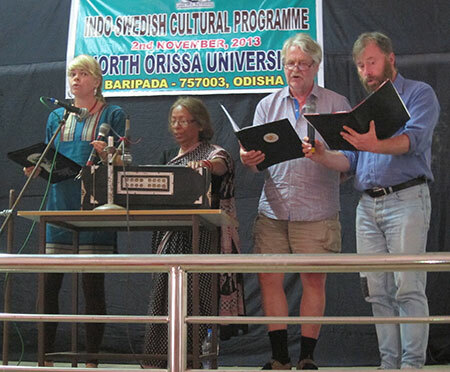 A programme was held for students and faculty at North Orissa University in Baripada, a university involved in a Erasmus Mundus collaboration with Lund University (and SASNET); and finally a concert was held at Indian Institute of Technology (IIT) Kharagpur, the highrest ranked IIT in India, on Monday 4th November. SASNET deputy director Lars Eklund is a member of the Swedish choir, and participates in the tour. Everywhere the choir perfomed it was widely covered by press and TV. They stayed in Kolkata till 9th November. See some of the press clippings. A few songs from the Star Theatre concert are found on Youtube, go for ”He Notun”, ”Ami Chini Go Chini” and ”Phule Phule”. Bubu Munshi Eklund, Lars Eklund and Tove Kjellberg were interviewed by the fortnightly magazine Business Economics. Read the article entitled ”From the land of the Nobel Prize, now comes Rabindrasangeet!”, written by Abhijit Ganguly. Many more photos in a slide show, go for it. After the successful Star Theatre concert. 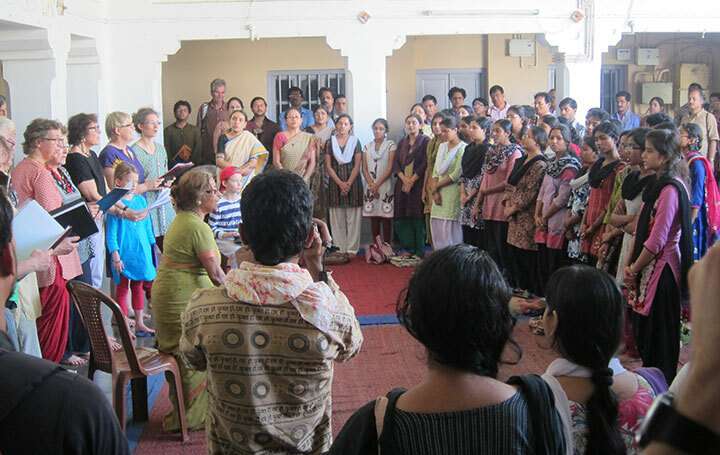 Choir members mingle with Ballett Troupe and its leader Chandrodoy Ghosh. Mamata Shankar herself performed in the programme. 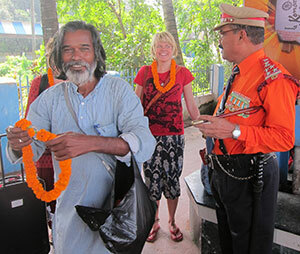 Warm welcome to Balasore by artist Keshu Das and Kushak Laxman Das, Chief Commander of Indian Community Police (Sattar Regiment). Appreciated concert at North Orissa University in Baripada. First concert at Star Theatre in Kolkata. IIT Kharagpur. Choir members with Souvik Bhattacharya and Subrata Chattopadhyay, our hosts for the successful final concert during India tour. The highlight of the concert tour, the performance at Sangheet Bhawan in Shantiniketan. Common singing of the national anthem Jana Gana Mana concludes the concert.